Back To School: Are Your Children Vaccinated? Getting your child vaccinated at the scheduled times helps prevent the spread of diseases to you and your loved ones. In 2010, a resurgence of whooping cough (pertussis) and measles caused 26 deaths out of the 21,000 cases presented; most of the deaths were in children under 6 months. Infants need time to build their immunity and may not be able to receive vaccines at birth. For this reason, it is important for you and your children to receive the vaccinations to help prevent these occurrences. “Getting vaccinated against these diseases is a good investment and usually covered by insurance,” says Dr. Chopra. 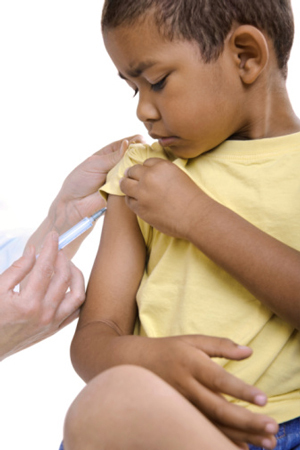 Children with vaccine-preventable diseases can be denied permission to attend school or child care. Some vaccine-preventable diseases can result in prolonged disabilities and can take a financial toll because of lost time at work, medical bills or long-term disability care. Ensuring that you and your loved ones receive the scheduled vaccinations can save your family time and money. Flushing Hospital Medical Center’s Pediatric Ambulatory Care Center offers same day services for walk-ins. Please call 718-670-3007 and make an appointment with one of our Pediatricians.